Do you feel like there is something special about you that you just can’t place? In case you aren’t aware there is such a thing as an Earth Angel and you could very well be one. Most Earth Angels know they are different from a young age. They were sent here for a specific reason and are meant to guide the real humans along with their paths. Earth Angels make a huge difference in this world by spreading positive vibes and helping others. 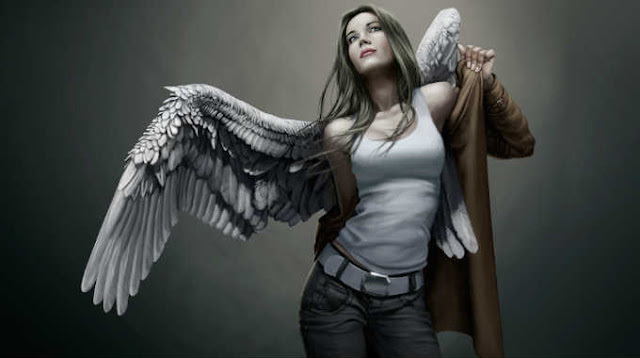 If you are thinking now that you couldn’t be an Earth Angel because you make mistakes, think again. Earth Angels are normal they can make mistakes. They are able to feel sadness and even disconnectedness from time to time. If you would like to know if you or someone you know is an Earth Angel check out the signs below. 1. Strangers often come to you for advice. 2. People love venting to you. 3. You accept others for who they are. 4. Your basic needs are always taken care of. 5. You have a deep empathy for others. 6. You are not always the best when it comes to managing your responsibilities. 8. You are constantly struggling to align yourself with this world. 9. You are highly sensitive. 10. You rely on your intuition. 11. Societal expectations leave you feeling empty. 12. You have a deep personality. 13. You are able to dig into your psyche. 14. Your emotions are more intense than other peoples. 15. You are kind and love helping others. 16. You do not judge anyone. 17. You are peace oriented. 18. You are concerned for the environment.